Fill a large pot with cold water and add potatoes. Bring to a boil and cook 10-15 minutes or until potatoes are tender and fork-mashable. Turn off heat, drain potatoes and return to pot. Add butter and sugar to potatoes and begin mashing with a potato-masher. When potatoes are well-mashed, stir in lemon juice and vanilla. Mix well, using electric beaters if desired. Set aside. Preheat oven to 350*F. In a small saucepan melt 3 Tbsp butter or margarine. Stir in breadcrumbs and pecans and toss until well coated. Turn off heat. 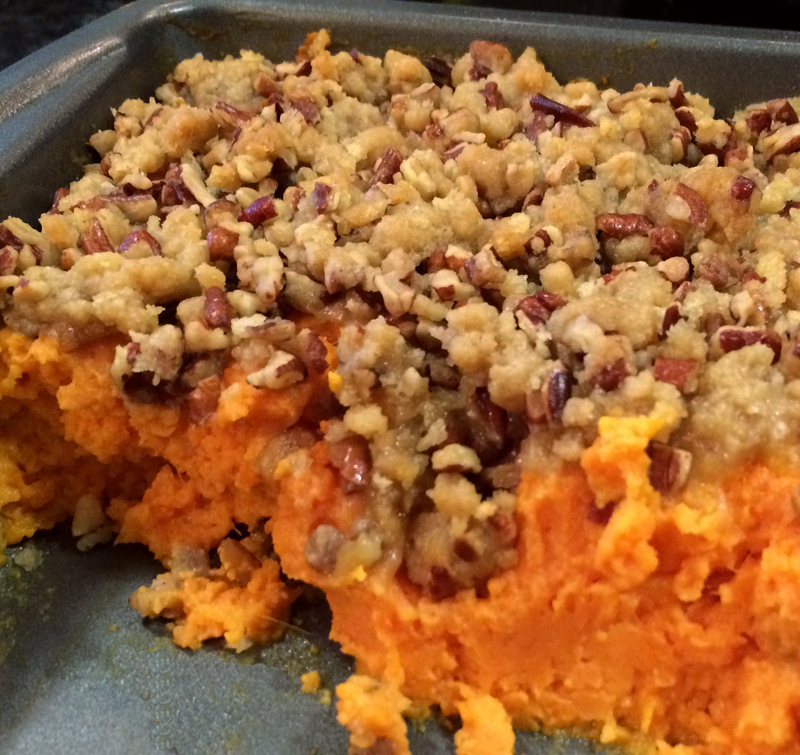 Lightly grease a medium-sized baking pan, spread sweet potato mixture into pan evenly. Top with pecan/crumb mixture and bake 30 minutes, until top is brown and crispy. Let cool slightly and serve.